Unless you are talking about vampires, Sci-Fi television hasn’t been exactly the most popular genre. Constantly struggling with ratings a good Sci-Fi show is hard to come by. 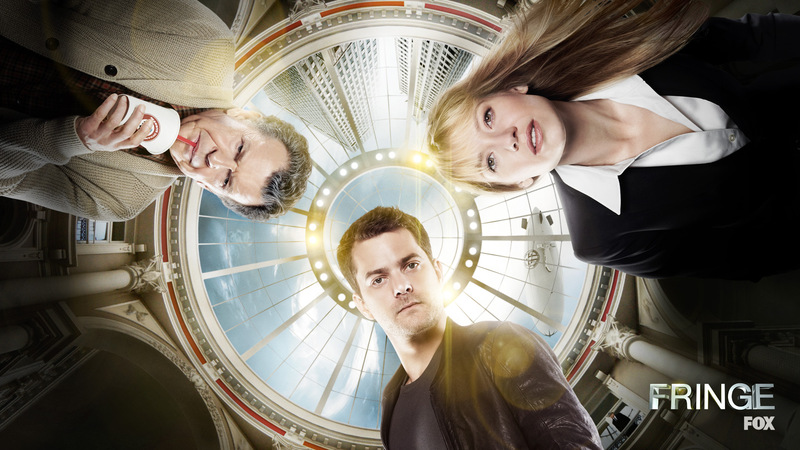 Probably the best Sci-Fi show of recent years is Fringe, which debuts its fifth and final season on September 28th. After four years of superb (yet not recognized) acting and amazing story-telling Fringe has introduced us to alternate universes, parallel realities and diverging timelines… enough to make our brains nearly explode. It has been an amazing journey where every episode was a mini masterpiece. I loved every minute of it. 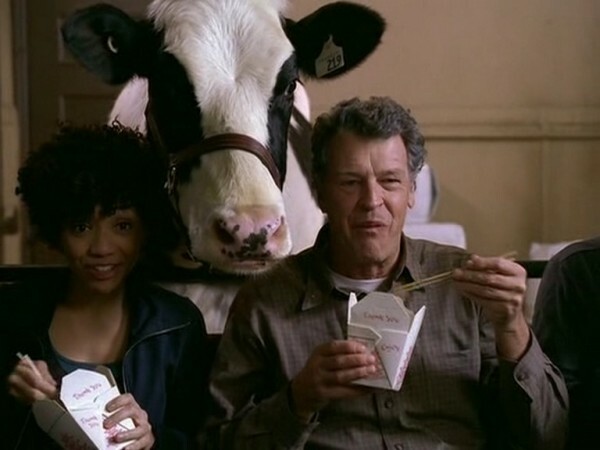 In honor of the final season, I collected a short list of my favorite things about Fringe. Some of the greatest dramas have a history of killing main characters in shocking plot twists. Think of Ned Stark in Game of Thrones, Jimmy in Boardwalk Empire and most recently Opie in SOA (still mourning that one). Fringe has killed the occasional main character; however the amazing thing of living in a world with parallel universes and alternate realities is that no-one has to die forever, at least not in all universes. In this way, Fringe has resurrected Nick Lane, Charlie and Robert David Jones. William Bell has also come back to life in many forms: as an alternate version of himself, as a cartoon and incarnated in Olivia’s body. And of course, let’s not forget about Peter! The ‘real Peter’ died as a kid, so thank god for alternate realities that gave us the Peter we know and love. It is just unfortunate that Joshua Jackson doesn’t get to play several versions of Peter like all the other characters. 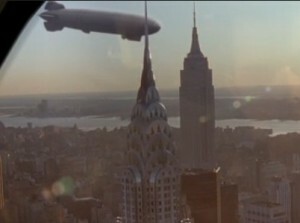 OK, so the Zeppelins aren’t a major plot point or anything. But aren’t they cool? The reason I included the Zeppelins in this list is because I feel they are the epitome of everything the other universe represents, an alternate improved reality where everything is possible and has a hint of magic. From the moment we saw the Zeppelin docking in the Empire State through the window to the other world, to discovering people actually use them for transportation; I thought they were the coolest thing. Along with the golden statue of liberty, the Zeppelins have been the sign that let us know we have crossed over into the other world. Massive Dynamics has being in a way the obscure, possibly evil corporation, constantly blurring the lines of the ethical an unethical in the name of science. Having said that, I believe it is one of the most interesting parts of the show. 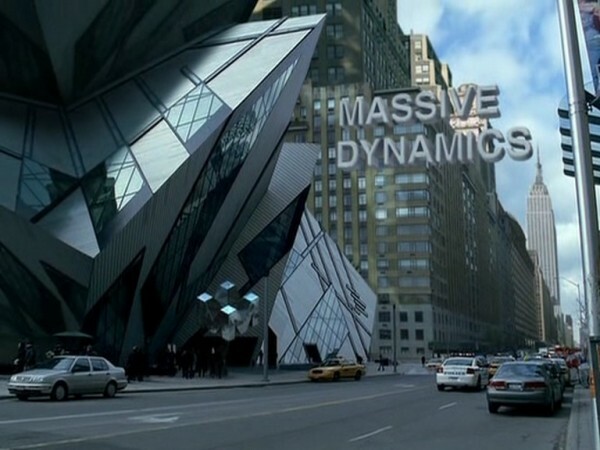 Starting with the name and the stunning building it gives the show that futuristic, hyphened reality feel that subtly tells us we are not watching a CBS cop show. It is also headquarter for some of the coolest technologies of the show and where we most often find the amazing Nina Sharp and her robotic arm. So, observers come in all forms, shapes and sizes. Well… not really, they all look pretty much the same; however, they seem to differ on degrees of evil. In the new season it looks like the observers will be the baddies of the show. Regardless they have been one of the most intriguing and captivating aspects of the show. And who doesn’t love to play ‘find the observer’ week after week. Without a doubt our favorite observer is September (runner up was August). He saved Peter when he was a child, refused to completely erase him from the new timeline, warned Olivia about his imminent death while he was about to die himself and psychically connected to Peter finally telling him who they are and where they come from. I may be wrong but he seems to be on the side of the good guys, don’t you think? Finally, how could I leave out Gene? The untraditional pet/guinea pig- cow is the eternal comical relief of the show. Where else would we find a crazy scientist with a cow? A Fringe list wouldn’t be complete without Gene the cow.